The defending Super Bowl champs are not having the type of season they would’ve hoped to have, but two straight division wins has them right back in the thick of things in the NFC East. After taking down the New York Giants and Washington Redskins in back to back weeks, the Philadelphia Eagles have a chance to get into a virtual tie with the Dallas Cowboys, if they can find a way to beat them on Sunday. 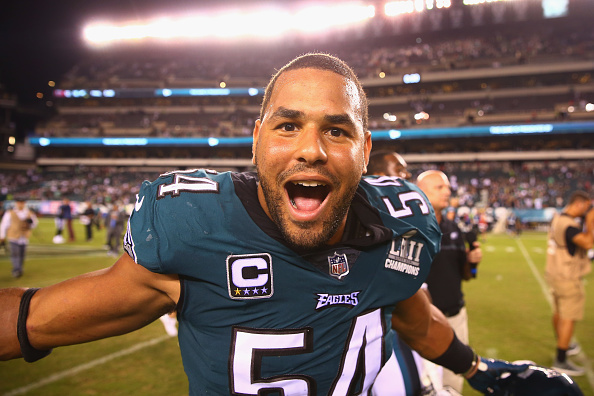 The worst thing you can do to a team that is hot and on a winning streak is give them bulletin board material, but that’s exactly what Eagles linebacker Kamu Grugier-Hill did when he ratcheted things up a bit and saying these comments about the hated opponent. The last time the two rivals faced off was in Week 10, with the Eagles coming out flat after a bye week and losing 27-20 at Lincoln Financial Field.